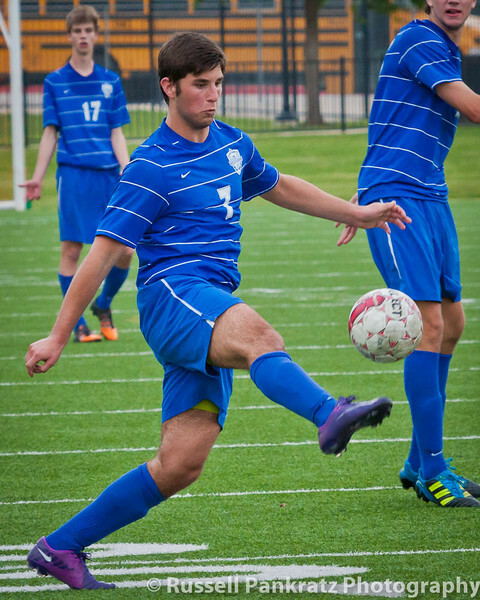 Mitch Cargnoni bounces a header right into your lap in the featured photo from the Bi-District game versus Round Rock High. This is the first daylight game I've shot this season, so I got to use my 80-800mm zoom lens which covers the whole field from my position behind the goal line. The Chaps are facing me all the time so all the action is coming at the camera. Enjoy!